Article 1: These Measures are drafted on the basis of the "People's Procuratorate Organizational Law of the People's Republic of China" and other laws and regulations, together with the actual conditions of procuratorate work, so as to further strengthen regulation of procuratorate recommendation work, ensure the quality and effectiveness of procuratorial suggestions, giving full play the role of procuratorial suggestions. Article 2: Procuratorial suggestions are in important method by which people's procuratorates lawfully perform their legal oversight responsibilities, participate in social governance, preserve judicial fairness, promote administration in accordance with law, prevent and reduce violations and crimes, protect the national interest and societal public interest, preserve the lawful rights and interests of individuals and organizations, and ensure the uniform and correct implement of law. Article 3: People's procuratorates may directly submit procuratorial suggestions to units involved in cases that the procuratorate is handling, to the competent organs at that level, as well as other relevant units. Where it is necessary to submit procuratorial suggestions to relevant higher level competent organs other than units involved in the case, it shall be report up to the people's procuratorate at the same level as the unit for a decision on whether to submit procuratorial suggestions, or, after the people's procuratorate handling the case has drafted the procuratorial suggestions, sending it to the people's procuratorate at the same level of the unit receiving the recommendation for approval and transfer to that unit. Where it is necessary to make procuratorial suggestions to relevant units at lower levels, the corresponding people's procuratorate at the lower level should be instructed to submit the suggestions. Where it is necessary to submit procuratorial suggestions to relevant units in other areas, the opinions of the people's procuratorate at the same level for the area where the unit is located shall be solicited. Where the people's procuratorate at the same level in the area where the unit is located does not agree, and the people's procuratorate handling the case persists in feeling that the procuratorial suggestions should be submitted, they are to be reported up the people's procuratorate at the shared level above both for a decision. Article 4: Submission of procuratorial suggestions shall be rooted in the procuratorate's functions and combined with judicial case-handling work, and shall adhere to the principles of being in strict accordance with law, being accurate and prompt, being cautious as required, and emphasizing efficacy. Article 6: Procuratorial suggestions shall be handled by procuratorial case handling teams or procruators. Article 7: The drafting and issue of procuratorial suggestions shall be carried out on the uniform operations application system, and uniform index numbering, uniform signing and issuing, marking of every step, and oversight of the entire process is to be carried out in the name of the procuratorate. Article 8: Where local people's procuratorates at any level discover that a legally effective judgment or ruling has circumstances that laws or regulations provide shall be retried, or where it is discovered that mediation documents from a people's court at the same level would endanger national or public interests, the procuratorate may submit procuratorate suggestions for retrial to the people's court at that level. (4) public security organs, people's courts, prisons, community corrections establishments, compulsory treatment enforcement establishments, and so forth that have pervasive illegality or proclivity towards illegality in criminal procedure activities or enforcement of effective criminal judgments, rulings, or decisions from the people's courts and other legal documents; or have other major latent dangers that need to be focused on and resolved. (5) Other circumstances in the course of litigation activities that need correction in the form of procuratorial suggestions. Article 10: Where people's procuratorates discover, in the course of performing their duties, that administrative organs responsible for supervision and management of areas such as ecological environment resource protection, food and drug safety, state-owned assets protection, and state-owned land use rights and transfers, have unlawfully exercised their authorities or failed to act, causing an infringement of the national and societal public interest, and meeting the legally-prescribed requirements for public interest litigation, they shall follow the procedures for handling public interest litigation cases to they shall submit a procuratorial suggestion to the administrative organs and urge them to perform their duties in accordance with law. (3) Civil disputes involving a certain group are prominent and might cause a mass incident or malign case to occur, and it is necessary for the relevant departments to urge improvement of early warning and prevention measures, and strengthen mediation and guidance. 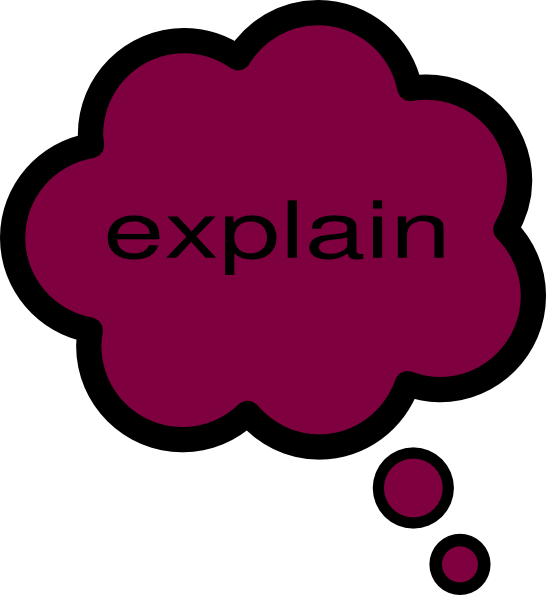 (6) Other circumstances where it is necessary to submit a procuratorial suggestion. Article 12: For law enforcement and judicial organs with illegalities during litigation activities, as well as where administrative punishments or sanctions need to be given to defendants or it is necessary to confiscate unlawful gains; where laws, judicial interpretations, and other relevant normative documents determine that a notice to correct illegalities or procuratorial opinion shall be issued, proceed in accordance with those provisions. Article 13: Where procurators discover circumstances in the performance of their duties which these Provisions call for procuratorial suggestions to be submitted, they shall report for decision by the chief procurator, and conduct an investigation of relevant matters until the facts are clear and correct. The conducting of investigation and verification must not employ compulsory measures such as restricting physical liberty or sealing, seizing, or freezing assets. Article 15: Procurators shall generally complete investigation and verification of the matter for the procuratorial suggestions within 2 months of the chief procurator making a decision. Where the situation is urgent, it shall be promptly concluded. At the completion of procurators investigation and verification, they shall draft an investigation conclusion report, and indicate the investigation procedures and the facts and evidence verified, and submit an opinion on disposition. Where it is necessary to submit procuratorial suggestions, the shall draft written procuratorial suggestions, and send it along together to the chief procurator, and the chief procurator or the procuratorial committee are to deliberate and decide whether to submit a procuratorial suggestion. Where upon investigation and verification, it is clarified that relevant units do not have violations or latent risks which require corrections or rectification, and it is decided not to submit procuratorial suggestions, the procurators shall send the investigation outcome report along with relevant materials to create an archive record. Article 16: Procuratorial suggestions should clearly describe relevant facts and their basis, and the suggestions submitted shall comply with laws, regulations and other relevant provisions, being clear and specific, fully explaining reasoning, rigorously reasoned, simply worded, and operable. (7) Other matters that need to be explained. Article 17: Before procurators send draft written procuratorial suggestions to the chief procurator based on article 11 of these Provisions, they shall send it to the department in that procuratorate responsible for law and policy to conduct a review of the necessity, legality, and reasoning of the procuratorial suggestion. 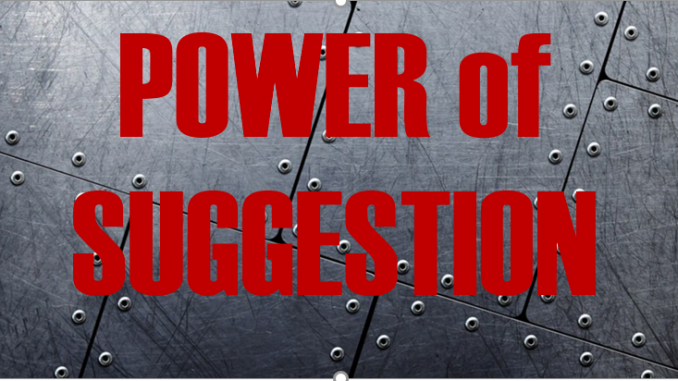 Before the procuratorial suggestions are issued, they may solicit the opinions of the unit receiving the suggestion. Article 18: Procuratorial suggestions shall be served upon the relevant units in the name of the people's procuratorate. The procuratorial suggestions may be served in writing or served by being read out at the scene. Service by reading the procuratorial suggestions aloud shall be upon the consent of the unit receiving the suggestion, and may be carried out at the people's procuratorate, the unit receiving the suggestion, or other suitable forums, and the procurator is to read out the procuratorial suggestion to the responsible person for the unit and to present evidence, explain reasoning, and hear the opinions of the responsible party at the unit receiving the suggestion. 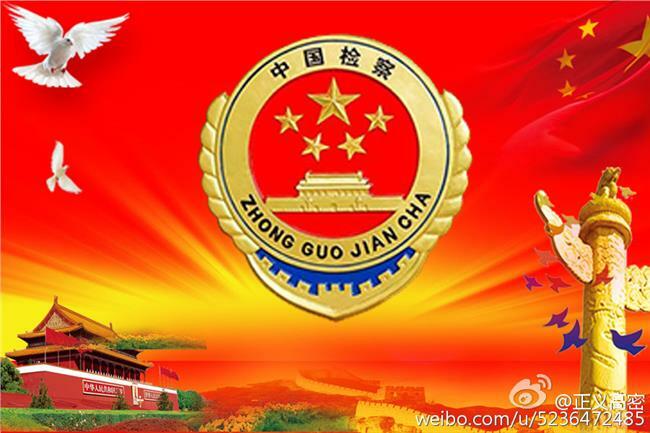 When necessary, they may invite third-party personnel such as political consultative conference National People's Congress deputies, members of CPPCC, or special inspectors and people's supervisors to participate. Article 19: Except where there are provisions otherwise, people's procuratorates submitting procuratorial suggestions shall request that the units receiving procuratorial suggestions make related moves to handle it within two months of receiving the procuratorial suggestions, and respond in writing to the people's procuratorate. Where it is necessary for the unit receiving the suggestion to handle it as quickly as possible due to urgent circumstances, an appropriate period for response may be determined on the basis of actual conditions. Article 20: For procuratorial suggestions involving matters greatly impacting society, closely watched by the people, involving illegal conduct useful as examples, or involving issues that should be emphasized by relevant departments, a copy may be sent to the Party committee, people's congress, government, and disciplinary inspection organs at the same level, or to the organ and competent administrative department at the level above the unit receiving the suggestion, as well as industry discipline organizations and so forth. Article 21: Procuratorial suggestions that have been issued shall be reported for filing to the corresponding operational departments and departments responsible for legal policy research of the people's procuratorate at the level above within 5 days. Article 22: Where chief procurators find that their procuratorial suggestions issued by their procuratorate have problems, they shall make a decision to modify or revoke them, and promptly inform the relevant units and explain the reasons. Where higher level people's procuratorates find that procuratorial suggestions issued by lower level procuratorates have problems, they shall order the lower level people's procuratorate to modify or revoke them, and promptly inform the relevant units and explain the reasons. Article 23: Where the units receiving suggestions raise objections to the procuratorial suggestions, the procurators shall immediately conduct a review. Where upon review the objection is sustained, after reporting to the chief procurator or procuratorial committee for discussion and decision, they shall promptly revise or revoke the procuratorial suggestions; but where the objection is not sustained, then after the chief procurator consents, they shall explain the reasons to the unit receiving the suggestion. Article 24: People's procuratorates shall actively urge and support cooperation with the units receiving procuratorial suggestions in implementing the suggestions. The procurators that previously undertook the matter are to handle efforts to urge implementation and may employ methods such as making inquiries, visiting, unscheduled consultation, or convening joint meetings, and are to draft notes or work records. Article 25: Where units receiving suggestions do not make corrections or do not adequately make corrections without just cause in the prescribed period and upon urging, then upon decision of the chief procurator the relevant circumstances may be reported higher level people's procuratorates, sent to the orgnas or competent administrative departments at the level above the unit receiving the suggestion, or industry organizations and so forth; when necessary it may be reported to the Party committee or people's congress at the same level, or sent to the government and disciplinary inspection organs at the same level. Where the conditions for initiating public interest litigation are met, public interest litigation is to be initiated in accordance with law. Article 26: The procuratorial committees of all levels of people's procuratorate shall conduct periodic scheduled assessments of the implementation and effectiveness of procuratorial suggestions issued by that procuratorate. Article 27: People's procuratorates' case management departments are responsible for monitoring the process of procuratorial suggestions and making categorical statistics, and are to organize the conduct of periodic scheduled qualify reviews of procuratorial suggestions, and comprehensive analysis of the procuratorial suggestions work. Article 28: People's procuratorates shall include the quality and efficacy of procuratorial suggestions in evaluations of procurators work performance. Article 29: Higher level people's procuratorates shall strengthen guidance of lower level people's procuratorates' procuratorial suggestion work, promptly reporting situations and helping resolve issues in that work. Article 30: Where laws, judicial interpretations, and other relevant normative documents have provisions on the handling of procuratorial suggestions for retrial, procuratorial suggestions to correct violations, and procuratorial suggestions for public interest litigation, handling is to be in accordance with hose provisions; where there are no provisions, refer to these Provisions for handling. Article 31: The Supreme People's Procuratorate is responsible for interpreting these Provisions. Article 32: These Provisions take effect from their date of publication, and the 2009 "People's Procuratorate Provisions on Procuratorial Suggestions Work (provisional)" are simultaneously abolished. The estimated value for a full translation of this post is $258.48 USD at the below-market rate of $.06 per character, with 3,658 characters.